Sleeping is an essential part of our day as it recharges our bodies and prepares us for the next day. But what if sleeping is not done right? What if you wake up feeling sore around your neck or in your back? Pillows play a huge part in sleeping properly and comfortably. Some people prefer thin pillows, while others prefer thick pillows. In this article, we’ll be focusing on thin pillows. To avoid waking up to sore muscles in your neck, or pain in your back, your head, neck , and spine needs to be in neutral alignment. Thin pillows can help you achieve that based on your body type and how you sleep. If you’re a person who likes to sleep on their stomachs then you know how uncomfortable thick pillows can be as they bend your neck at a very weird angle. Sleeping with a thin pillow in other positions is also very comfortable as it gives your neck the support it needs while avoiding any soreness or weird angles. If you’re facing any health issues concerning your neck, spine or shoulders, thin pillows are the way to go. Read our complete guide about the best bamboo pillows. If you like to sleep on your back, you would have noticed that thick pillows tend to throw your neck forward too much. This can cause misalignment in your spine which in turn can cause many health related problems. Not only will you be sleeping uncomfortably, but you’ll also be facing some health issues in the long run if you don’t choose the right pillow to support your neck and your back. As weird as it sounds, thin pillows can also help prevent wrinkles! Using thick pillow overtime can cause premature aging and cause wrinkles around your face and even on your neck. A thick pillow anchors the neck little more than needed which can cause deep lines to form there. Similarly, using a thick pillow means you’ll be pressing your face against more thick, dense pillow full of dust and dead skin cells. Hence, this can cause acne, allergies and wrinkles. Thin pillows can also help anchor your head better. In the case of thick pillows, the head tends to roll from side to side very easily because the pillow if stuffed too much. It’s almost like sleeping on a thin pillow filled with water. Thin pillows keep your head in one place and prevent any unnecessary head movement. Read our latest guide about the best pregnancy pillows. This type of thin pillow is filled with soft material which will gently squish down according to the weight of the head and cradle it gently. This type of thin pillow is ideal for people who like to sleep on their stomachs. This pillow is easily huggable and won’t suffocate you as well. These types of thin pillows are filled with a dense material. The filling does not shift inside the pillow whatsoever and eventually molds according to the user’s head. Once the contour is set, there is added support for the neck as the pillow fills the space underneath the neck. 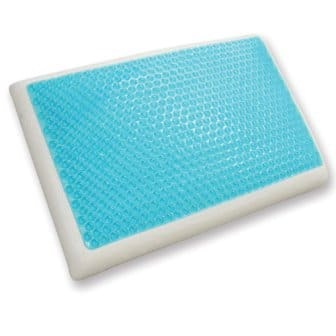 This type of thin pillow is perfect for people suffering neck of cervical issues, or people who like to sleep on their back and want that extra support and comfort. This type of pillow is a multipurpose pillow which can transition between a thick and thin pillow depending on how you sleep and use it. It’s fluffy yet moldable so you can use it however for maximum support and comfort. Majority of the pillows on the market are filled with memory foams as the main material. Since memory foams are dense, they can get hot overnight causing discomfort to the sleeper which results in poor quality sleep. To avoid this problem, the memory foam can be infused with gel technology which will help in regulating the temperature of the pillow and will keep it cool and dry resulting in good sleep. If in case the memory foam isn’t infused with gel, there is another way to ensure that the pillow is breathable and doesn’t get too hot. The solution is ventilation channels which circulates the air and keep the pillow cool and makes easier for the user to breathe. 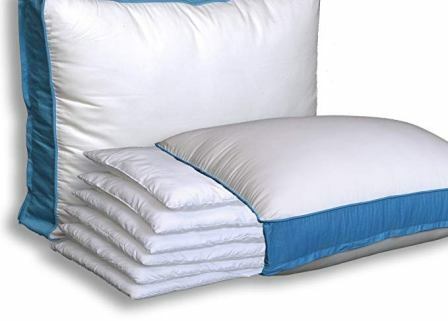 Pillow covers made from these materials can avoid many problems and provide benefits as compared to using a standard pillow cover made from cotton. Firstly, the bamboo covering is great for people suffering from allergies. This is because it is hypoallergenic and dust-mite free. Hence, the user doesn’t have to wake up with a runny nose and watery eyes. Secondly, because it is dust-mite resistant, it is also safe for the face to touch the pillow. Often side sleepers face the problem of acne on their faces and one of the main causes of that is that the pillow covers are dirty and the skin becomes congested. However, using a bamboo/polyester covering can help reduce these risks and keep the skin fresh and healthy! Relief-MartTM are the brains behind this body pillow. They started their online company with the aim to inspire and help people take control of their own health. All of their products are produced under the careful supervision of Dr. Rick Swatzburg who has nearly 20 years of experience in producing the best quality relief and support products. 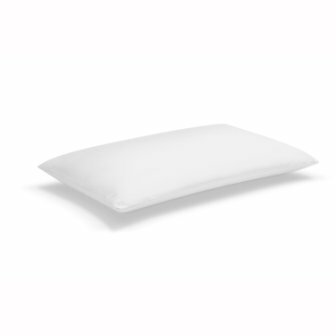 The pillow’s outer fabric is produced in USA with 43% of Viscose of Bamboo, 56.4% polyester and 0.6% lycra. The cover is very breathable and feels luxurious as well. This cover is filled with shredded style combination memory foam which never goes flat. It’s a 54 inch long pillow which can be used as a body pillow as well as a normal giant sized thin pillow for supporting the head and neck. It’s a long and thin body pillow specially made for side, stomach and pregnant sleepers. It’s not filled completely to offer the user a customizable body pillow. A user can either bunch up all the filling in one side of the pillow cover or they could spread the filling evenly throughout the cover for even stability and support. The shape of the pillow also allows the user to tuck it under their bodies or hug it while sleeping for maximum comfort ability. Moreover, the pillow is so long that it can easily be twisted and tucked in. The snuggle-pedic body pillow is hypoallergenic and dust mite resistant. Which means the pillow will transfer less or no dust to the face and other body parts, making it more hygienic. The unique combination of the pillow cover’s materials keeps the pillow cool all night long so the sleeper doesn’t feel uncomfortable from the heat. Moreover, it’s also washing machine friendly so the user don’t have to go through the hassle of washing it by hand or sending it for dry cleaning. User also won’t have to worry about the cover coming undone as it is compressed and vacuum sealed. Relief-Mart has so much confidence in its Snuggle-Pedic body pillow that it offers 120 Night sleep trial and if the customer is not satisfied with the product, they can return it right back! If the user does decide to keep it, the body pillow is backed up by 20 years of warranty as well! Pillow holds the shape for the whole night. Filling can be easily maneuvered to provide maximum comfort. Stuffing starts to move after a few weeks. 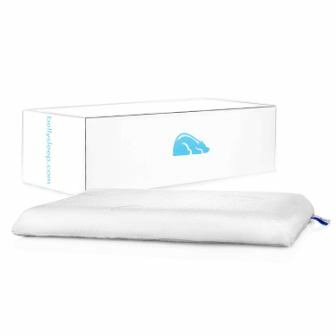 This memory foam perform pillow has been designed by a chiropractor who has over 20 years of experience. It has also been tested to ensure that a user does not suffer from any back or neck pain after using this pillow. Rather it helps them heal any pain caused by sleeping in an awkward position or by sleeping on a poorly constructed pillow. The cover of this pillow is made from 56% polyester and 43% bamboo. The stuffing is special density foam which was selected by a professional chiropractor. Its unique design offers two different size contours making the pillow more versatile. Perform pillow’s cover is a Kool-Flow, micro-vented Bamboo cover which has such a luxurious feel to it that it can even be used without a pillow cover. As mentioned earlier the pillow has two different contours on each side. One side has a small dent in it for the head to fit in properly, while the other side is completely flat. This makes the pillow versatile as the shape of it does not limit the type of sleepers. Often when people sleep on their sides, their shoulders and necks are bound to hurt as there is not proper support underneath the negative space under the neck. To overcome this problem, the perform pillow has a very specific structure which provides neck and head support in proper alignment. For people who sleep on their backs, the pillow can be used either way. 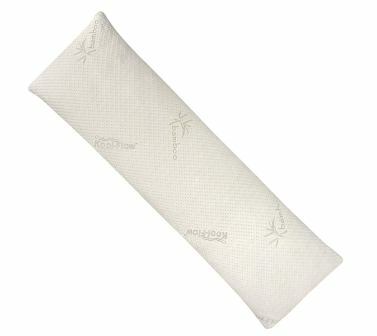 As mentioned before, the perform pillow has a bamboo cover which has a luxurious feel to it. Often users would use a pillow cover rather than sleeping on the pillow itself so that they don’t have to worry about the whole pillow getting dirty. Luckily for them, the Bamboo cover is removable and washing machine friendly, which means users can enjoy the luxurious feel of it. Moreover, Bamboo cover also provides natural deodorization and resists bacteria. The perform pillow is also great for people who have allergies and wake up with runny nose or eyes. The pillow and cover are both hypoallergenic and dust mite resistant. Hence, also protecting the skin from any incoming acne because of congestion from the pillow. High grade memory foam which holds its shape. The head is lifted too much than necessary. This Ultra-thin pillow cover is made from 40% Polyester and 60% Cotton. The pillow itself is a supple, dense memory foam pillow made out of high quality foam. It’s a standard pillow with 24″ Length x 16″ Width. The height is only 2.5 inches, yet it is dense enough that the sleeper doesn’t feel their head sinking into the pillow. Because the pillow is made from 100% memory foam which is quite dense, it gives firm support to the neck and shoulder. After the sleeper lies on it, the pillow quickly molds according to the head and fills up all the negative space so the neck is not twisted at a weird angle. Its design makes it possible for users to sleep in any position they like, on their stomach, back or sides. The height of the pillow is just right that it’s not throwing the head too forward, or making the head lie flat on the pillow. If you’re a frequent traveler who likes to carry their own pillow everywhere, then this is it for you. Since the pillow is very thin, it’s easier to carry it around and store it in a bag. Moreover, if you’re not a big fan of external pillow covers, then rest easy because this pillow also comes with two removable pillow covers of its own which are washing machine friendly. The Bluewave company was created because they wanted to make a thin pillow with the perfect height and density, as they thought it was hard to find a good, high quality thin pillow. Most of their pillows are aimed towards stomach and back sleepers. Bluewave wanted to produce a thin pillow which didn’t get too hot while sleeping, as normally memory foam do tend to get hot. Instead of using memory foams, they decided to infuse the pillow with temperature regulating gel which battles excessive heat build-up. Moreover, there are ventilation holes as well to let out heat. The pillow cover is made from 60% Polyester and 40% Rayon Derived from Bamboo. The pillow is medium profile and offers firm support. It’s 4 inches in height with the standard style, which means no contours. Bluewave also claims that sleeping with this pillow is also therapeutic as it helps in spine alignment. It specially targets people suffering from neck, back or shoulder pain. The foam used in this pillow is CertiPur-US certified. Hence, the users can rest assured that there were no harmful materials used in the making of this pillow and that it ticked all the safety standards. Moreover, the pillow also features dual shaping so the user can customize it to their own liking. 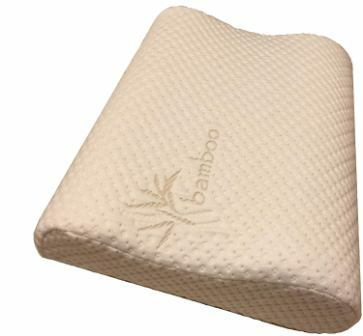 The Bamboo cover is also removable and washable, hence helping the user in avoiding any hassle related to it. Some users found it to be too firm. Too flat for side sleepers. Elite Rest is a premium bedding company which manufactures high quality bedding items including pillows and quilts. 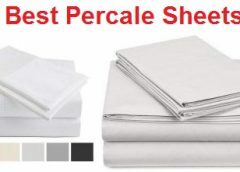 Their bedding items are soft and comfortable ensuring a great sleeping time. This pillow is one of their great products. The pillow is a low-profile pillow which is meant for people who like thin pillows. This is designed by keeping in consideration the people who sleep on their back and on sides. This pillow has memory foam inside which is ultra-soft and remembers the shape of your head and neck so that it can support both of them properly. It cradles your head in a way that you will feel light and relaxed. The main aspect of long life of this pillow is its memory foam which retains its shape no matter how much roughly you use this pillow. This pillow is very very thin and it looks like it will not last long because of the such thin profile of the foam. 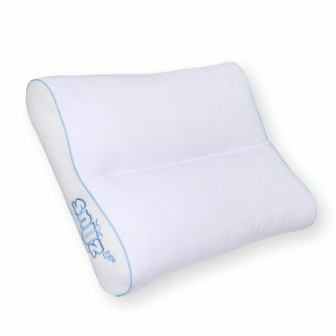 The outer covering of the pillow is firm and it is fitted tightly with the memory foam. The worth-noting feature of this pillow is that the material and foam is naturally antimicrobial, hypoallergenic, and antibacterial which makes it ideal for people suffering with allergy issues. The pillow provides support and comfort due to its low profile design with slight contour. This makes it easy for your head to comfortably settle in the pillow. But there is a slight problem for the people who do not like warmer pillows. The memory foam is not breathable and it can get warm due to its heat retaining property. The thinnest pillow on the market. Memory foam provides high levels of comfort. Cradle Me is also another brand which sells pillows which aim to improve your sleeping habits and provide you with the best sleep. This pillow is from their slim pillow range. The cradle me thin pillow features a very slim design which is perfect for head and neck support. Because it’s only 3 inches thick, it’s ideal for stomach sleepers as they require very flat pillows. 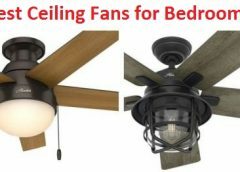 They are also ideal for back sleepers as their head is lifted at just the right angle, not too flat and not thrown forward either. The memory foam molds according to the contour of the head providing maximum support as it helps keep the head in place. The pillow isn’t too firm so the sleeper feels uncomfortable, yet it isn’t too soft either that the head sinks in so that the sleeper is almost lying flat on the bed. 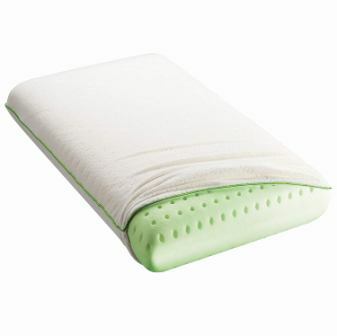 The Cradle me pillow features odorless memory foam and is also hypoallergenic. It’s safe for people who have allergies and it also keeps the dust mites away. Hence, the pillow doesn’t get too congested which in turn results in fresh skin, quality sleep and non-runny nose and eyes! Moreover, the cover is also removable and washable providing the user with more ease than ever! Fabric has a soft, plush feel. Pillow is can get too hard. The pancake pillow is one of the unique pillows in the market. It brought forward a new idea which solved most of the problems if not all, and is so versatile that the pillow can be used by anyone! The Pancake Pillow features 6 stackable pillows which can be adjusted to suit the user’s requirement, hence the name. All the pillows are very soft and plush and totally customizable. The outer case is made from 100% cotton and has a thread count of 300. The pillow comes in a standard size of 18×26 inches, and the height is up to the user. The pancake pillow provides maximum comfort ability as the user can customize the height and thickness according to their liking. If they find it too thick, they can always remove a few layers or add a few layers if it’s too thin for them. It’s perfect for all types of sleepers; people who like to sleep on their stomachs, on their backs or on their sides. Stomach sleepers require a very flat pillow to sleep comfortably, whereas back sleepers or side sleepers might require more support and a little thickness. All of this can be achieved by adjusting the layers of the pillows, hence making it perfect for everyone! The pillows are filled with the softest microfiber which keeps congestion away. Thus its hypoallergenic so sleepers can sleep peacefully without getting allergic to the dust. Weekender Bedding is a luxury bedding brand which manufactures high quality bedding items which are luxury hotel grade. The pillows from this brand are well known to be ultra-comfortable and very soft. The pillow has a very stylish outlook which looks very sleek and stylish. The inside of this pillow is basically a gel-based memory foam which is perfect for supporting your head and neck while sleeping. It is the most comfortable material among all the materials which are normally used for pillow fillings. It cradles your head and aligns the neck with the spine. The outer covering of this pillow is made of ultra soft material which is also very durable and can go through a machine washes day after day. This ensures that you get fresh pillow cover night after night. The memory foam is designed to last long as the shape of this foam remains intact no matter how you use it. The gel based design makes it even more long lasting. The outer covering of this pillow is also very durable and it resists any wear and tear you may experience due to the long usage. A very important feature of this pillow is the advanced Pincore design which makes the whole construction ventilated and optimizes air flow which keeps the temperature down as a result. This is achieved by making air ducts through the memory foam for the air circulation. The memory foam makes this pillow soft and supportive and it changes the whole sleeping experience which makes this pillow perfect for all kind of sleeping positions, it does not matter if you are a side sleeper or stomach sleeper. Moreover, the outer covering of the pillow is also very soft and smooth providing you a nice and comfortable feeling on face. Pincore design of the foam which enhances breathability. TruContour is a brand which is very passionate and conscious about healthy sleeping habits. This brand provides different varieties of pillows catering to all the choices by the people. This product is one of their famous products. This pillow is designed for stomach or side sleepers who enjoy thin and ultra-soft pillows. This pillow features an ultra thin design and the pillow is the made for people who want to have sound and healthy sleep without any irritation. The size of this pillow is perfect and ensures necessary and healthy amount of elevation for your head. The pillow is only 2.5 inches in height. This outer covering of this pillow is very soft and smooth and features a double-knit material. It is made certified organic cotton which is designed to enhance the breathability of the material. The material is super-soft and it is also machine washable. The inner material of the pillow is memory foam which makes it ultra-comfortable and soft. The double-knit cover is resistant to any kind of wear and tear during the long usage of the product. The memory foam inside the pillow is of high quality material and it will last a long time. The pillow can be used in any way according to your sleeping position and you will not feel it getting faulty. A very important feature of this pillow is that the material used for this pillow is hypoallergenic which means it prevents any allergic reaction while using it. It is also worth noting that this pillow is also dust and mite resistant which makes it perfect for you if you have concerns regarding mite or dust allergy. 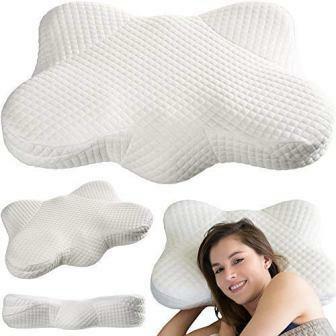 This pillow is perfect for those with nasal or skin allergies. The pillow has memory foam inside it and it serves as the main element of comfort in the pillow. The memory foam makes the pillow perfect for sound and deep sleep. It remembers the shape of your head and provides you with the comfortable feeling when you put your head on it. The outer covering is also made ultra soft double knit cotton which is ideal for comfort lovers. Can be very thin for people who love normal sized pillows. Snuz is an UK based brand which is mostly known for their high quality sleeping products for babies. This brand’s main focus is to give you better sleep by using comfortable materials in their products. The pillow has quite unique design which looks different and stylish. This pillow looks like two pillows merged together horizontally. This pillow basically focuses on the ergonomics of the human head and neck. The basic idea behind the design is that the head of a person is a larger than the neck and this makes the hourglass design necessary so that your head can be cradled and neck can be supported. This style aligns your neck and spine well. The finely knit fabric of this pillow is highly durable and resistant to any wear and tear. This pillow is washable and you can easily keep it clean without the fear of ruining the pillow. The dual chamber construction is built in a way that the shape of the pillow remains intact and the hourglass design is not disturbed even after long period of usage. The middle section of the pillow which is indented makes this pillow perfect for all the types of sleeping positions. It does not matter if you are stomach sleeper or back sleeper, this pillow will provide you the same level of comfort. It even gets better for you if you sleep on your side. Moreover, this pillow is hypoallergenic which ensures you an allergy free environment in your bed. The pillow is have high performance polyester filling which ensures maximum comfort and fluffiness. This material inside makes it soft. Moreover, it does not compromise on the support it provides to your neck and the head. Can be a bit difficult to adjust to the new design. Sonmics established itself as a brand in 2012 in Germany. Since then it has grown into a big company with millions of shopper each month. They are also the largest sellers on amazon. The Songmics pillow comes with 3 layers, each filled with different amounts of filling. To provide the user with full control and firmness tailored to their needs, the 3 different inserts contain 300g, 500g and 600g of filling. A pillow cover is also provided which is big enough to fit all 3 inserts inside the cover if the user chooses so. It’s made 100% from cotton and is also skin friendly. The main feature of the Songmics Pillow is that the thickness and heights are fully customizable. Because of 3 inserts of different weight, the user has 7 combinations as to how he wants the thickness and height of the pillow. It’s perfect for a family as everyone has different requirement and this pillow can fulfill them all. So, because of the customizable height, the users get the most ultimate sleeping experience as they don’t have to toss and turn all night long because of a pillow. This pillow is perfect for all sleepers; stomachs, back and side sleepers. As mentioned earlier, the fabric of the outer pillow cover is completely skin friendly. It’s breathable, hypoallergenic and mite-free. Hence, you’re left with a good, healthy skin without acne that might have caused if the pillow cover wasn’t hypoallergenic. Not to mention, it also helps people with their allergies as well. Moreover, the product has also passed the Product Class I (baby) according to STANDARD 100 by OEKO-TEX, which means all the materials used in the making of this product were safe and chemical free. Cover is removable and washer friendly. Returns to original shape after drying. Lux living is a company which specializes in interior furniture to make your home look beautiful. Because of their unique ideas and excellent customer service, they quickly gained a lot of popularity among customers. This pillow has the standard shape and simple design with no contours. It has a mid-loft profile design. The filling of this pillow is made from high-quality visco-elastic foam which is infused with coconut extract. The pillow cover is made of premium cotton and Rayon blended together. Since this pillow has a mid-loft profile design, it’s great for all positions, that is side, back and stomach sleepers. Since the memory foam is of high quality, it molds to the shape of the sleeper’s head to anchor it down and keep it in place so it doesn’t roll around. Another special thing about this pillow is that it’s infused with coconut extract for aromatherapy. Coconut oil has properties which make it anti-microbial, anti-bacterial and anti-fungal which means that it protects your pillow from mold and keeps it fresh. It also gives out a pleasant, soothing scent which calms the user while they sleep. Most memory foam pillows are very heavy and can get hot too quickly, which results in sweating and makes the user uncomfortable, plus the pillow gets dirty faster too. To avoid this problem, this pillow’s memory foam has ventilation channels which makes it 3 times more breathable and keeps it from getting hot too. The pillow comes with a removable, machine washable cloth so the user won’t have to work hard to clean the pillow. Memory foam is too soft. If you’re a belly sleeper, then this is just the right product for you! Belly sleep specializes in making pillows especially for people who like to sleep on their stomachs. Sleeping on the stomach can help ease snoring but it can also result in back and neck pain because often more than not the pillow that the belly sleepers are using is too high and hence causes cramps in their necks and shoulders. Moreover, if the pillow is too firm, the head doesn’t sit properly in the pillow which can result in unnecessary rolling of the head. To avoid these problems and make sleeping as comfortable as possible for stomach sleepers, belly sleeper started producing this pillow. The pillow has a standard style with 2.5 inches of thickness. The pillow cover is made from 60% Bamboo and 40% Polyester. This combination of materials makes the pillow more breathable and keeps it clean and away from dust mites, hence keeping the skin looking fresh and preventing any acne. The filling is high grade memory foam which is gel infused as memory foam tends to get very hot and uncomfortable overnight. The gel technology will keep the sleeper comfortable by regulating the temperature of the pillow, resulting in quality sleeping. As mentioned earlier, this pillow is designed keeping in mind stomach sleepers. The height of the pillow is 2.5 inches which is perfect as stomach sleepers tend to prefer flat pillows or else their head and neck are at very awkward angles and their faces also press into the pillow, making it difficult for the sleeper to breathe. So, it has ergonomic edges which reduce head and neck rotation for a very comfortable sleep. To further make the head and neck snug against the pillow, the dense polyurethane memory foam molds perfectly according to the sleepers head providing maximum support and comfort ability. This pillow also provides spinal support as the thin, flat design keeps the body aligned if you’re lying on your back or the stomach. 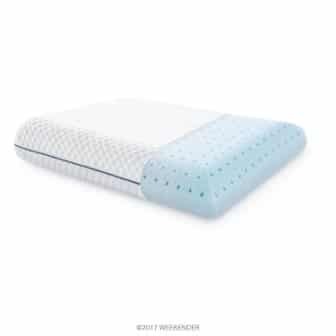 As mentioned earlier, the memory foam is infused with gel technology which helps in regulating the temperature of the pillow so the user doesn’t get too uncomfortable and hot while sleeping. The pillow comes with a removable cloth which is washing machine friendly. Not the best pillow for side sleepers. Sleep innovations have been here for a long time. They use their experiences and customer reviews to make the best possible thin pillows which tick all the boxes! They have different pillows for different people, as not everybody has the same requirements or needs. This sleep innovation pillow is your standard pillow which looks like any other pillow, but better. The filling is high quality memory foam which retains its shape overnight and gently cradles the head and neck for maximum support. The pillow cover is a microfiber cover which feels very soft and luxurious on the face. The memory foam in this pillow aligns your head at just the right angle to make you fall a deep sleep, faster. It provides maximum support and hence releases painful pressure points which can otherwise disturb the sleep and the sleeper might even wake up with sore muscles in their neck. This pillow is perfect for all types of sleepers, ie, side, stomach and back sleepers. It’s thin enough that you can fold it if you want extra thickness and support without feeling uncomfortable. It also realigns the body while sleeping so the sleeper wakes up feeling fresh and well rested. 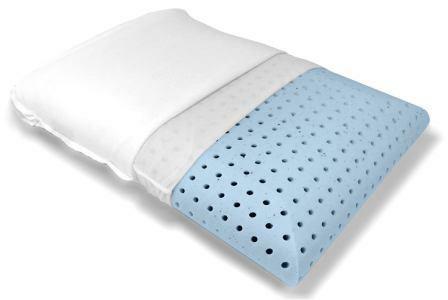 The microfiber pillow cover feels very soft against the skin and keeps it from getting congested. Side sleepers, if you’re worried about getting wrinkles each night by pressing your face against the pillow, the good news is that you won’t because of the microfiber pillow cover! It’s removable and also washing machine friendly. Moreover, microfiber can absorb water up to seven times their weight and removes 98.9% of the bacteria. They are also very easy to clean as well, plus they will be good as new each time you give them a wash as they are very hard to stain! The sleep innovation classic memory foam pillow is manufactured in USA and comes with a 5-year warranty, which is just a reflection of how much the manufacturers trust in it. They guarantee this pillow will always hold its shape, and if it doesn’t, you can always return it within 5-years without any hassle! Aligns the body perfectly to avoid any cramping. Pillow can be too stiff for some users. Classic Brands have been around since 1971 and started off with waterbeds. They soon became the leading producer of waterbeds in the seventies. They then expanded their products to include memory foam mattresses, pillows and bed frames among other things. They basically specialize in all things related to good quality sleep. They have different types of products to suit every type of user’s needs and style of sleeping. This pillow has a unique style as compared to other pillows. It’s filled with memory foam but has a gel pad on one side of the pillow so it can be used during winters and summers or however the user wants it. The pillow cover is made from 100% Polyester. Its dimensions are 16X24 and is 5 inches in height. 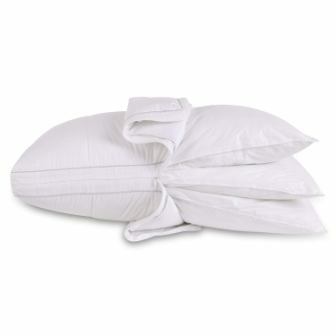 This Classic Brand pillow has a reversible cool gel and memory foam on either side of the pillow. If the sleeper is feeling too cold then he can just flip the pillow or if he’s feeling too hot he can flip the pillow to sleep on the gel pad. The soft memory foam holds your head and neck in the same position and provides maximum support and comfort. It also retains its shape night after night and doesn’t get too thin or lumpy after a few weeks. This pillow features cool gel memory foam which will regulate the temperature and disperses heat to keep the user from feeling hot and sweaty at night which can disturb the sleeper immensely and ruin their sleep. Stays in place and doesn’t move around.